24. Brutal Assault - new announcement - January - Part II. Aborted, After the Burial, Agnostic Front, Alien Weaponry, Anaal Nathrakh, Anathema, Animals as Leaders, Annotationsof an Autopsy, Antaeus, Anthrax, Batushka, Car Bomb, Carcass, Counting Hours, Crystal Lake, Cult of Luna, Cytotoxin, Daughters, Decapitated, Deicide, Destruction, Diablo Swing Orchestra, Dr. Living Dead!, Ektomorf, Electric Wizard, Emperor, Ensiferum, Get the Shot, Godflesh, Gorod, Gutalax, Heilung, Higher Power, Hypocrisy, Immolation, Iron Regan, Jinjer, Jungle Rot, Krisiun, Latters from the Colony, Lionheart, Manes, Metal Church, Meshuggah, Midnight, Mgła, Myrkur, Napalm Death, Oceans of Slumber, Of Mice & Men, Perfecitizen, Prong, Raised Fist, Rotting Christ, Scared Reich, Saor, Shape of Despair, Slaegt, Slapshot, Taake, Tankard, Testament, The Ocean, Thy Art is Murder, Toska, Unfathomable Ruination, Vargrav, Venom Prison, Violator, Voivod, Vuur, Windhand, Woe Unto Me, Wolfbrigade, Zuriaake. 24. 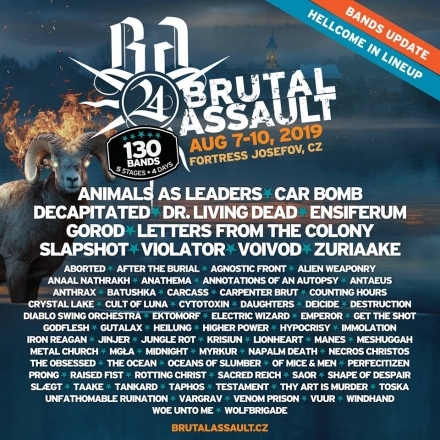 Brutal Assault - new announcement - January - Part I. Appearing in 2002, even before the rebirth of thrash metal scene worldwide, Violator was formed with the purpose of rescuing the spontaneity and anger that seemed forgotten in the metal scene. Coming from the center Brazil, Brasilia, Violator is one of the most intense South American bands and after years of waiting, they will finally thrash BA! Doing so they will be joined by masked Swedish crossover deviants Dr. Living Dead! and legendary veterans of Boston HC scene Slapshot! Ensiferum are true greats of folk-inspired melodic death metal and with their latest output Two Paths they once more affirm their place in the pantheons of the genre, so it was about a time they returned to BA! Polish death machine DecapItated is back with a bang! Their new album Anticult highlights just how vital have remained two decades deep into their career. 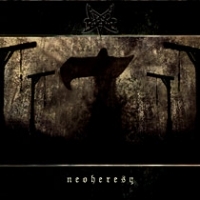 They have long been undeniable masters of their craft and they are expanding their parameters with this album, which should elevate the band's profile beyond the death metal realm in which it has dominated for years. And now they’re coming for the BA crowd! And speaking of technical death metal, of all the amazing technical death metal bands out there, very few can write memorable catchy songs with extreme technicality like French killers Gorod. Get ready for intelligent, deftly crafted flights of musicianship…that will rip your head off! Sometimes, a band’s music registers just as seismically on an emotional wavelength as it does on a sonic spectrum. And one of those unique bands are Animals as Leaders, who reimagine, reinterpret, and refresh instrumental prog, experimental metal, modern jazz, alternative, and even world music to a point where the reaction becomes primal. Consistently delivering a captivating show, their show will surely be one of the musicianship highlights of the festival. New York’s Car Bomb detonate a vicious blast of wildly technical and progressive modern metal. The Long Island quartet's attack is relentless and suffocating: vicious jazz-inspired blasts shift into mechanistic, canyon-wide grooves. Schizophrenic, whisper-to-a-scream vocals seem to spiral out of control, only to snap back lock-step into the churning assault. Make sure to witness their BA debut! Progressive Swedes Letters from the Colony had proven that they could marry various elements of death metal, metalcore and jazz into a complex hybrid and produce something strangely familiar yet truly original. 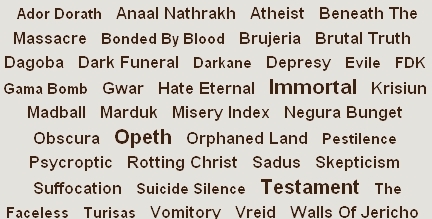 And this list finished with Chinese atmospheric black metal Zuriaake. 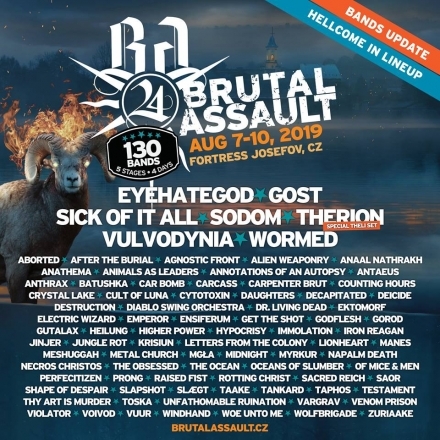 Brutal Assault Festival vol. 14 is coming! Check out the Czech prime metal meeting, this time with such bands as so far confirmed Immortal, Opeth, Testament, Brujeria, Dark Funeral, Madball, Walls of Jericho and many others! The festival takes place in unique Old Army Fortress in Jaromer (130km from Prague) in the Czech Republic. After the last year’s successful edition, which was visited by 13 000 metalheads from all over the world, the next volume is coming and promises next impressive experiences. From year to year the festival’s program is more and more attractive and promises more and more well-known metal crowd-pullers for all fans of various extremely musical genres. The festival takes place in unique festival ground in Jaromer, in the Old Army Fortress called Josefov. Imagine musical festival to be held at an old army fortress! This place has a huge history and unique atmosphere. There are many parts of the fortress and one of courtyard will be used as the festival ground. The fortress was built 1780 - 1789 for the Emperor Josef II. It comprises ramparts (in the form of octagonal bastions), extensive casemates (to a length of some 45km, of which 5km are open to the public), the headquarters building, a hospital, barracks, the armory, the Church of the Ascension and houses. Jaromer is situated 130 km east of Prague, 20km north from Hradec Kralove. Tickets available in presale for only 45 EUR for 3 orgasmic days! Ticket at the door is for 54 EUR. For more info regarding tickets visit our official websites: http://brutalassault.cz/en/tickets/. The festival is starting on Thursday, August 06, 2009 at 3pm. Camping and parking nearby the festival ground is free of charge, open on Wednesday, Aug 05, 2009.
or get in touch with us : infoassault (at) centrum (dot) cz or call directly hotline +00420774220183. 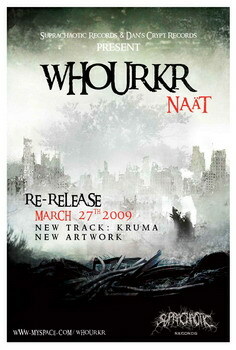 We are celebrating the official re-release of WHOURKR’s first album "Naät" on Suprachaotic Records with a new track, AND we’re signing on Crucial Blast Records for our second album "Concrete", release to come in September 2009! Furthermore we're looking for concerts at the moment, spread the word! Swedish "art rockers" Cult Of Luna have posted a video clip (see below) for the song "Adrift", taken from their forthcoming DVD, "Fire Was Born". Due to "technical problems at the pressing plant," the release date of "Fire Was Born" has been pushed back to April 27 (via Earache Records) from the previously announced March 23. Along with an epic live show recorded on July 1, 2008 at Scala in London, England, the disc — which was mixed, edited and designed by the band — will feature footage of Johannes Persson (guitar) and Anders Teglund (keyboards) answering questions from fans all around the world and the videos for "The Watchtower", "Leave Me Here" and "Back To Chapel Town". A teaser for the DVD can be viewed below. Cult Of Luna's latest album, "Eternal Kingdom", is based on an actual journal found in an old mental home. The CD takes listeners on a weird and wonderful journey through the mind of a former patient as he tells the tale of how his wife came to be murdered, and of the mythical creatures he claims to have encountered during the time of the harrowing event. 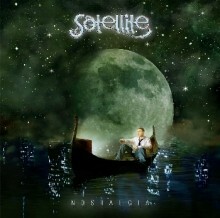 As previously announced Satellite’s forthcoming album will be released by Metal Mind Productions on 23rd February 2009 in Europe / 10th March 2008 in USA (via MVD). New material entitled “Nostalgia” is the follow up to the highly acclaimed album “Into The Night” from 2007. As the band claims, it's their fourth and most mature offering. Most of the album was recorded in Wojtek Szadkowski’s home studio. He is also responsible for the music and lyrics for "Nostalgia". The album features 7 atmospheric compositions, full of beautiful arrangements with subtle yet powerful sounds. The music offered on the new album is a combination of the sound of the 70’s with the modern 21st century sound. The lyrics relate to each other in a loose manner - they're about coming to terms with the past, about the need for a change, starting anew, distancing oneself to one's own past. At the same time, ironically, the music on "Nostalgia" manifests a longing for the mood of the 70's and 80's. 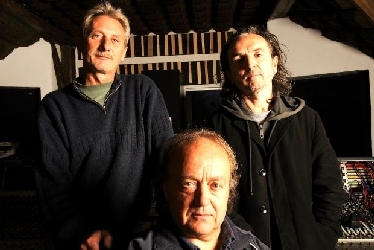 Neo progressive rock band Satellite was founded in 2000 by Wojtek Szadkowski, who wrote and co-wrote nearly all of Collage's music and lyrics. It was meant to be only Wojtek's solo-project but soon became a real band. They’ve released three studio albums so far (2003 "A Street Between Sunrise And Sunset", 2005 "Evening Games", 2007 "Into The Night" plus a DVD "Evening Dreams" (2005). Their fourth studio album “Nostalgia” will be available two formats: standard CD and limited edition digipak with 2 bonus tracks. 6. Am I losing touch? DÖG is a relatively new project started by Blizzard of Vorkuta and Vorgrov of Marblebog over the last year and together they have created maniacal hymns of pure evil genius black thrash! No need to cite influences, if you like metal in it's purest form you can't possibly dislike DöG. "Ancient Crypt Metal" is the first pro release and hopefully the 1st release in a long line of corrupt blackened thrash attacks from DöG. This is an entirely pro release complete with a 4 page booklet and marks the first release in a series of 3" CDs from Autopsy Kitchen. 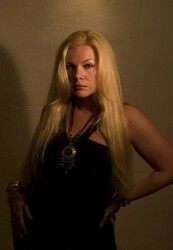 Beside After Forever's Sander Gommans, there are other famous musicians hiding in HDK's shadow... More that just a guest star and actively teaming up with Sander, enters vocalist extraordinaire Amanda Somerville, renowned for her work with Edguy, Avantasia, Aina and other notorious metal acts. "HDK is by far the most intense album I've ever worked on. I'm mostly referring to the style of music, but I also got very drawn into it emotionally with the writing and performing. We pushed everything to the limit! Sander has been a good friend since I worked with him for the first time on After Forever's "Invisible Circles" album, so it was an instant "yes" answer he got from me when he asked if I'd co-write some songs with him for his new project. Those "some songs" turned into an entire album, and what an album it is! "Sander had a lot of ideas for the lyrical content of the songs and for some vocal melodies when we started. There were a lot of subjects that had inspired the music he'd composed and he wanted to express those themes and feelings more thoroughly in the lyrics, so that's what I did. He had most of the music done by the time I came in to write lyrics and vocal melodies, but some things developed as we went along and inspiration struck. Come to find out, we share opinions on many of the issues he brought up and have had many similar experiences, plus I find it rather easy to play the chameleon in terms of getting into an emotion and making it my own, so it worked out great. I feel that the songs are just as much mine as he feels they're his, which is how it should be with the writers of an album that is as emotionally loaded as this one is, in my opinion. Otherwise, what the hell's the point, honestly? To top it all off, we're both the same type of crazy, so we had a lot of fun in the process! "I'm really proud of the way "System Overload" turned out. It was an honor to work with the amazing musicians featured on the album and Sander is an incredible multi-talent and inspiration. It was all certainly a challenge that resulted in pushing my boundaries and learning new things, which I love. Since writing and recording this, I feel for the first time that I've truly stepped into the metal world, even after all the work I'd done in the scene prior to HDK. With this album, I no longer feel that I'm the "non-metal metal girl." Bring it on. ;-)"
Metal Mind Productions presents the first CD release of the debut album by Dark Heart – “Shadow Of The Night”. Dark Heart are one of the many bands that sprung out during the golden years of the New Wave of British Heavy Metal movement. Their recipe for success was simple – keep it fast, keep it melodic and keep it rockin’! Their album “Shadow of the Night” followed that exact pattern and proved to be a solid heavy metal release, delivering powerful riffs, sharp solos, intense drumming and melodic vocals – all the necessary ingredients for a NWOBHM classic. The history of Dark Heart started in 1983 in Northallerton, England, after the disbandment of another heavy metal formation – Tokyo Rose. Some members of that band decided to go into a slightly different direction and start anew. Thus Dark Heart was formed, consisting of the following musicians: Alan Clark (guitar), Colin Bell (bass), Phil Brown (vocals), Steve Small (guitar) and Ian Thompson (drums). The band almost immediately got signed to Roadrunner Records and started working on their debut release at the acclaimed Guardian Studios in Durham, England. “Shadow of the Night” hit the stores in September 1984, bringing a powerful dose of Diamond Head-influenced heavy metal. All of the nine tracks included on the album contain the pure essence of NWOBHM, making the LP a true sign of its times. The highlight here are definitely the occult-inspired “Don’t Break the Circle”, the straight-forward rocker “Giving It All For Love” and the brilliant “Dangerous Games”. But Dark Heart was not afraid to go a bit off the rails with their music, for instance with the instrumental blues-rock intro to the track “Shout It Out” or the semi-ballad “Turn The Tide”. To put it simple - “Shadow of the Night” delivered a handful of excellent ideas wrapped in a 100% heavy metal package! 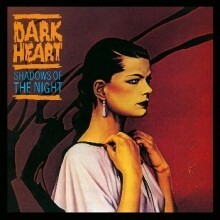 Dark Heart eventually turned out to be a 1-album band, but their effort was not fruitless. “Shadow of the Night” to this day remains a valuable addition to every heavy music enthusiast’s collection, delivering a prime slice of NWOBHM musicianship. Metal Mind Productions is proud to announce the first edition of the progressive rock festival - Progrock 2009. Katowice slowly becomes the most important mark on the map of the current progressive rock scene in Poland. The fantastic stage at the Wyspianski Theatre has witnessed live shows of many important bands like Pendragon, Credo, Final Conflict, SBB, Satellite, Arena, Landmarq, Galahad, Caamora… The shows at the theatre are acquireing a cult status among the fans of progressive rock, but also among the Artists themselves - the Wyspianski Theatre turned out to be not only a convenient place for such shows but also a very atmospheric, magical place. There will be another chance to prove it in February 2009 during the two day’s Festival – Progrock 2009. A legend of Polish music scene. The band returns with a new studio album entitled “Iron Curtain” on 26th January 2009. SBB, comprised of the phenomenal composer Józef Skrzek, the excellent guitarist Apostolis Anthimos and the flawless drummer Gabor Nemeth, plans to support the release with a tour with its final show at the Wyspiański Theatre! The masters of Finnish death metal SOTAJUMALA (Woodcut Records) and Swedish death metallers gone moody KATATONIA (Peaceville) are the latest confirmed bands to second Firebox Metal Fest. The girls from Rock Models will also deliver shows during the fest. Next bands to be confirmed in January, when also the ticket sales will start. 1. ... 6. 7. 8. 9. Currently 80 visitors and Csacsa are online. Talk about Black Sabbath, Tourniquet, etc. Farewell from stoner metal. The band changed his style. The themes are demanding, the solos are increadibly virtuose ones and the whole image is glowing in the light of 70s and 80s. When I call something a tough birth, it has really been a torturous round. We could have used different lubricant and an assful of products which would probably have eased the torture, but I didn't choose that way. ...though their initial identity streams blood and darkness. ...this chasm would smoothly be able to swallow the human soul, however we could hear more profound spaces compared to this before, although the selfish reincarnation of sucking in stands for this situation as well and it's evident & obvious. It's full of pain, murmuring Hell and a big load of occult grime which forces you into your own marsh! ...along with some post-metal, not to mention the high mounds of the doom of the '80s, then you'll enjoy EOS's mammoth-weight journey from the first minute to the last!